Digital teams are a diverse group and are vital to the growth and success of a business. With roles ranging from Developers, Designers, Marketers to IT Support, the task of keeping these multi-disciplinary teams operating at peak performance falls with the Project Managers. These managerial roles aren’t for the faint-hearted as different skill-sets bring different personalities, with the PM tasked with unifying everyone on the same goals. In addition to leading Digital teams on a daily basis, some companies have found ways to provide employees with the autonomy to create outside their usual responsibilities and have seen great results. So, what does it take to manage a Digital team, and how can businesses operate efficiently to make the most of the incredible talent within their ranks? Personas help map out the customer journey and allow teams to design with their expectations, goals and interests in mind. Personas can be crafted around typical and atypical customers – who use your products and services at the extremes of their use. Most online journeys are goal-oriented. Visitors are there to gather information or make a purchase and by knowing why the customer has arrived on your site, you’re able to design based on how they will interact. These personas and use cases can also be profiled retrospectively, enabling you to iterate, by holding focus groups and sending out questionnaires. As a brand becomes more established the context of how visitors interact with you before arriving on the site evolves, and the design process will adapt to suit a more knowledgeable customer. An MVP, or Minimum Viable Product, is one of the best ways to efficiently lead a Digital team. It allows you to work in an agile state and ship a product with simply the core requirements users need, and nothing more. As you continually receive feedback the product evolves, and more features are added. This lean approach allows Digital teams to invest less resources in features which might not be as well received by the public as research or a hypothesis may show. Leading a Digital team is about just that; leading. Businesses that operate in the online sphere are evolving so quickly that one of the best ways to gain traction and remain ahead of the global competition is to be bold. If your team understand the customers and are willing to fail early in the pursuit of the best product then you’re already halfway there but being bold is about challenging the norms within the sector you operate and trying something new. Despite this, there’s a time and place to follow the status quo. After all, even the leading car manufacturers haven’t tried to reinvent the wheel. Those working in Digital – whether developers, marketers, data analysts or project managers – love digital. They are there for a reason, and a sure-fire way to efficiently lead the team is to trust their judgment and commitment to the product and brand. When colleagues are given the opportunity to learn, share knowledge and ask questions the whole company will benefit. Data underpins most modern businesses. It’s required for regulatory and financial reasons, and previously provided C-Suite an overview of corporate health, but data can inform decisions across the whole company. Data can be used to drive decisions, but there should be allowances for human discretion – where the data is used alongside a platform of information to inform decisions. The previous four points all require data to be implemented effectively and will prove pivotal to learn how your customers interact with your product. But, according to Creditplus, hosting a hackathon in the workplace isn’t just about the four hours a month. The ambition is to foster a collaborative culture when working normally. Sam Bond, Head of Digital Delivery, remarked “There is synergy in giving your teams this freedom. The half-day a month, that could be a productivity vacuum, actually means the rest of the month is more efficient – my teams are energised!”. 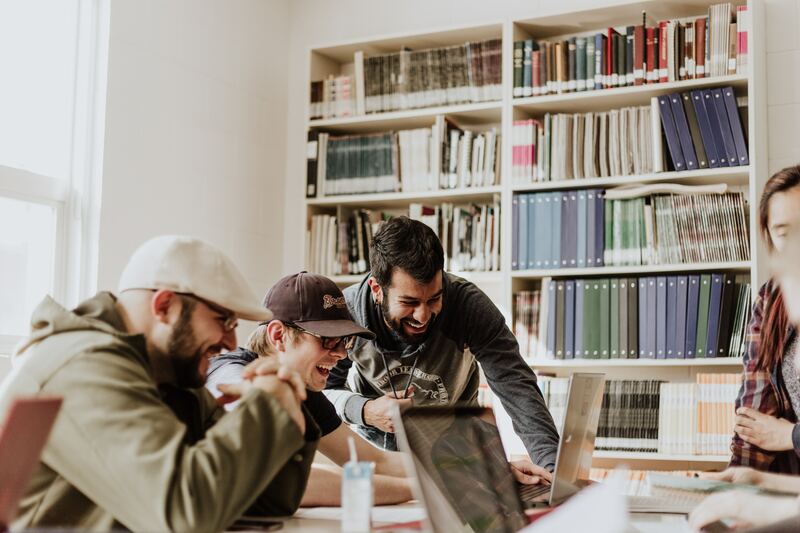 Beyond Digital, brands are looking to implement a ‘hackathon’ culture within other departments – from HR, Accounts and Sales – to encourage talent and discover new ways of working.